As always, I have been pressed for time to write updates recently, but I am here today to share with you some things that I thought worth mentioning regarding the imminent arrival of the 25th anniversary celebrations at Disneyland Paris. Over the past week or two a lot more information about the celebrations has been coming to light, with various sites and pages leaking information, and of course Disneyland Paris revealing a little more themselves, too. During the 25th anniversary celebrations, you will be able to experience two brand new stage shows, a brand new parade, meet and greets, and other offerings such as the new versions of Space Mountain (Hyperspace Mountain), and Star Tours (Star Tours - The Adventures Continue), and the new nighttime spectacular, Disney Illuminations. Of course, being Character Central, I am going to share with you the character based offerings in this article. A few days ago the Disney Parks Blog announced that following her August debut in her welcome show at the Magic Kingdom, Princess Elena of Avalor will greet guests at the Princess Fairytale Hall from 24th November. Princess Elena will feature on the Cinderella-side of the Hall, with FastPass reservations already available from the start date. In an unexpected move, Shanghai Disney Resort are currently celebrating Halloween season - but only at Disneytown (their equivalent of Downtown Disney). From just a few days ago until 31st October, you can see Mickey and Minnie in a special show, wearing Halloween costumes, for free at Disneytown. It is great to see that Shanghai Disney Resort have decided to take a seasonal direction, since it was unclear up until now (because the park is still so new) whether they would follow what the other parks around the world do. The big news of the week is the announcements from Disneyland Paris regarding its upcoming 25th anniversary. In non-character related revelations, there was confirmation of everything that had been pretty much anticipated for months now: a new nighttime spectacular, titled Disney Illuminations; Star Tours - The Adventures Continue; and Star Wars Hyperspace Mountain. 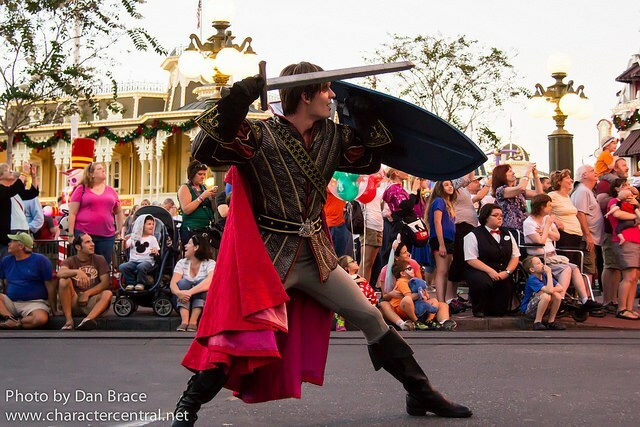 On the character front we also got confirmation of the very-much anticipated parade. 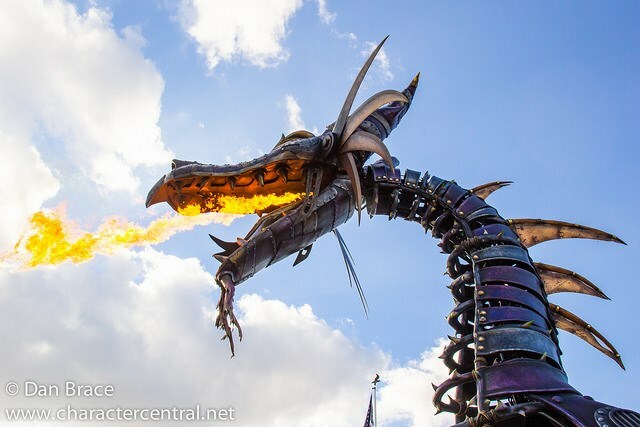 Rather simply titled Disney Stars on Parade, it will feature a fire breathing dragon (much like the one from Festival of Fantasy at the Magic Kingdom), as well as using two floats from the old Jubilation parade, from Tokyo Disneyland. These floats are expected to be the Peter Pan and Jungle Book ones. While it was expected that there would probably be a new stage show, they actually surprised us all with announcing two! 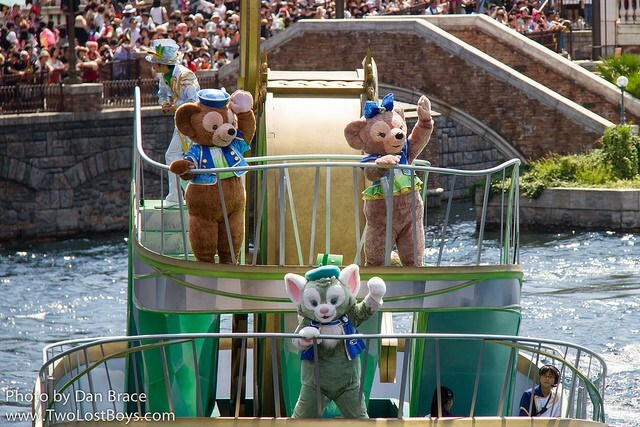 Very few details are known right now about either, but we do know that the first one, Mickey presents: "Happy Anniversary Disneyland Paris", will feature Mickey, Goofy, Chip and Dale and other Disney stars as they celebrate the 25th anniversary. It is not known at which theatre or in what capacity the show will be held. The second show will be titled The Starlit Princess Waltz, and will feature the Disney Princesses, including Belle, Cinderella, Aurora and Snow White, throwing a majestic ball to celebrate the 25th Anniversary. Interestingly, the Disney Parks Blog reported a slightly different version of the announcements, and also mentioned decorations, new meet and greets (though unspecified as to what), hotel renovations, a new version of Peter Pan's Flight, and something they name as Mickey's Goodnight Kiss. What this will involve is anybody's guess, but it was included in the section that read, "we will have many opportunities for our guests to see their favorite Princesses and Characters throughout their time at the park", so it sounds as though it will be a character based offering. Finally, the DPB version also appeared to confirm that Mickey and the Magician - the brand new show at the Walt Disney Studios that was billed to end before the 25th started - will indeed remain in place through the 25th anniversary. This will make many fans happy, as the show has been widely praised and is already well loved. In case you missed them, I recently wrote my trip report for Shanghai Disney Resort, and a guide to Tokyo Disney Resort's 2016 Halloween season, here on Character Central. Click the highlighted text to go to those pages!